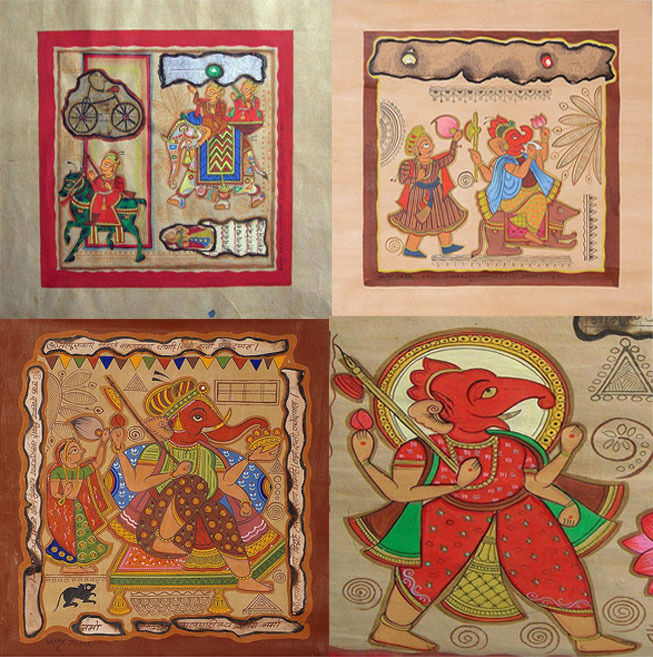 Traditionally, Phad paintings depicted an elaborate story with different sections or episodes, the smaller paintings which will be made during workshop will depict just a single character or story. A Phad painting is natural, with hand-woven coarse cotton cloth, treated with paste of homemade gum and starched, then dried in the sun and rubbed with a moonstone. Vijay and Vivek Joshi are traditional Phad artists from Shahpura, Rajasthan. The duo took training in Shahpura’s Nonpareil Phad art under the guidance of their father Shri. Shanti Lal Joshi, a National Award Winner. They’ve participated in exhibitions in cities across India as well as in aboard like France, Singapore and Bogata (Columbia).